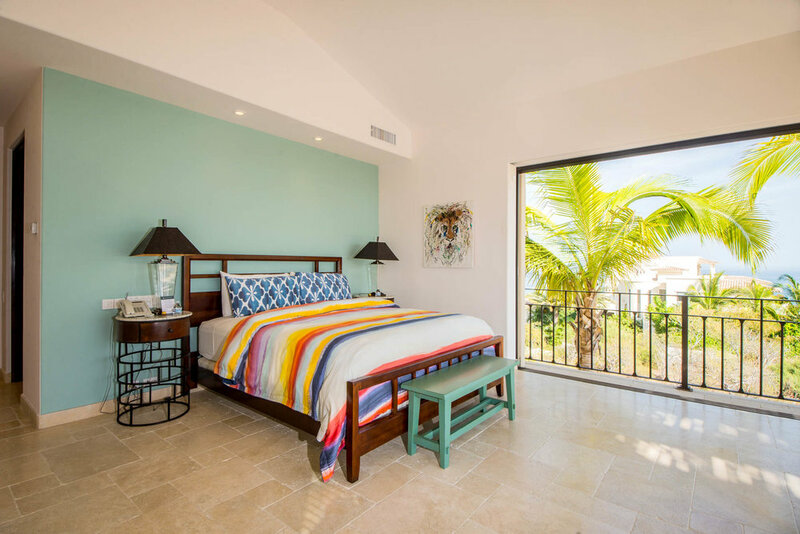 bed 5 · bath 6.5 · SLEEPS 12 · From $1.350 TO $2.200 usD per night + tax. 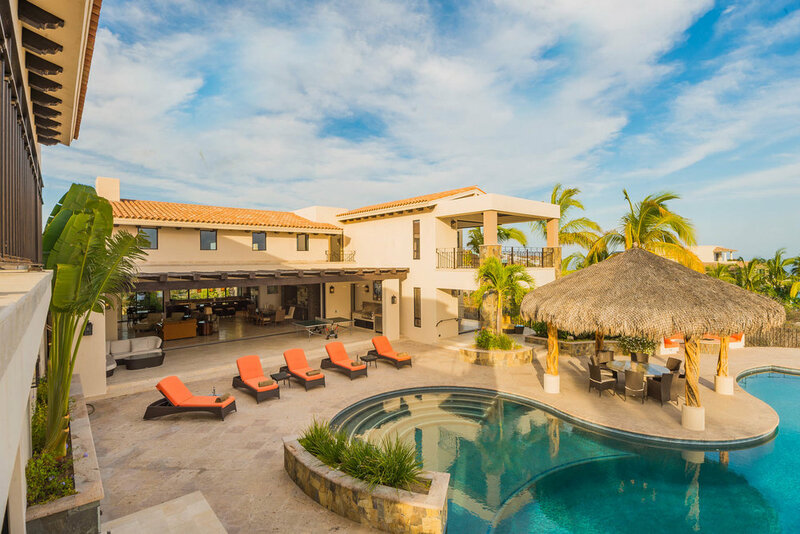 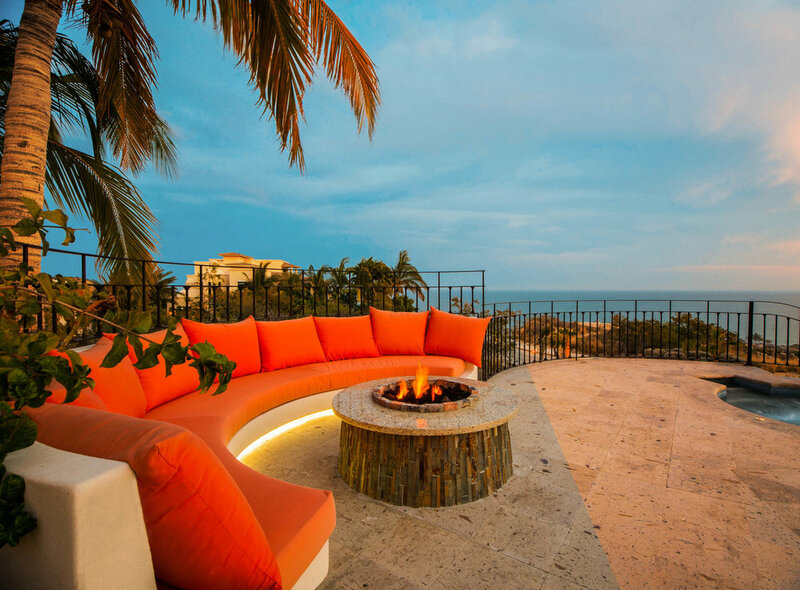 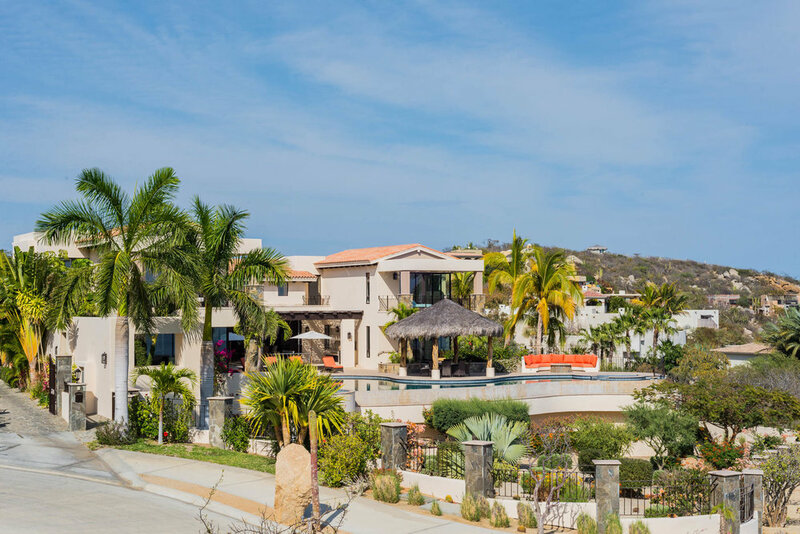 Located in San Jose del Cabo's exclusive Puerto Los Cabos area, the breathtaking Casa de Sueños property is situated behind the security gates of Los Fundadores. 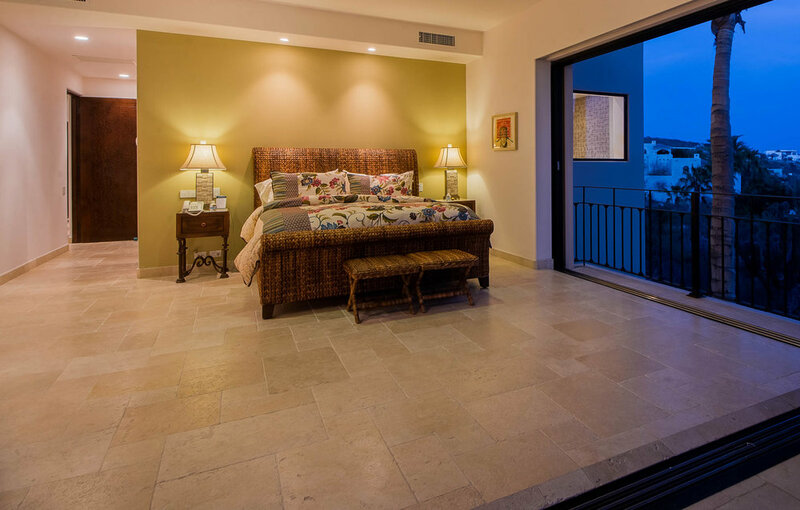 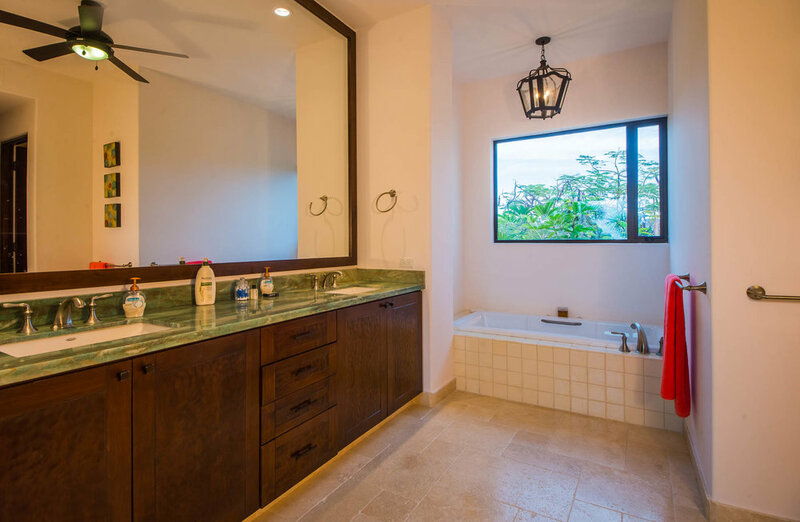 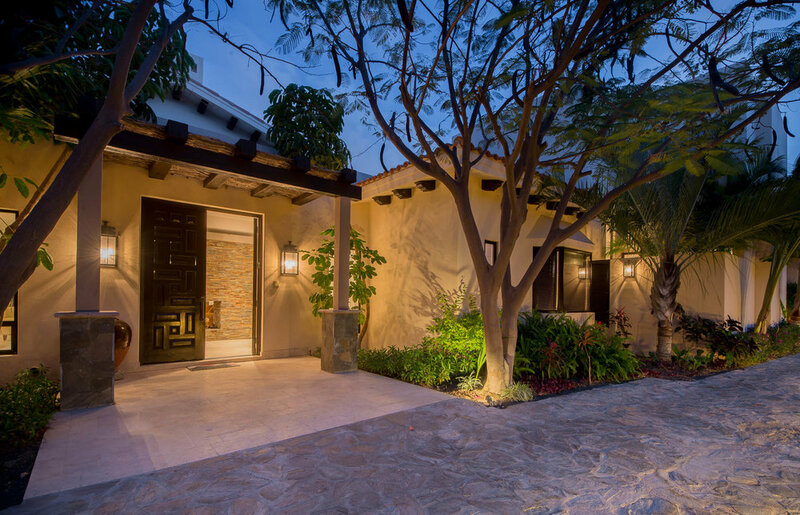 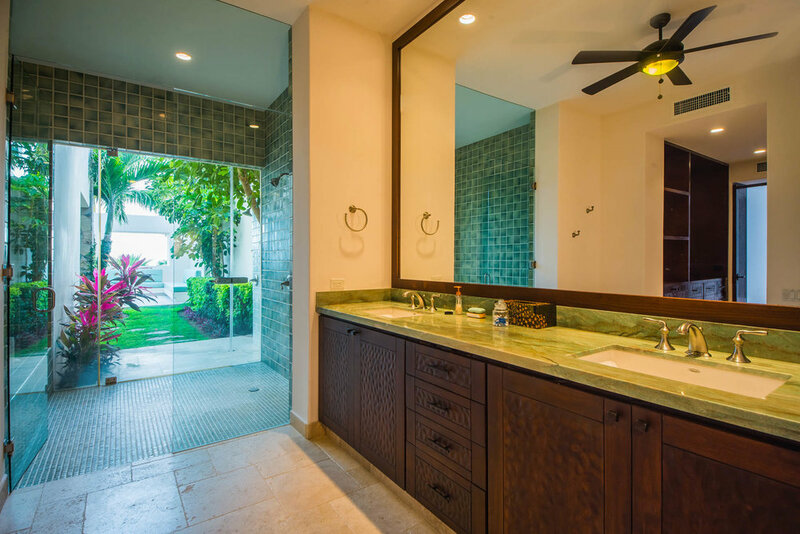 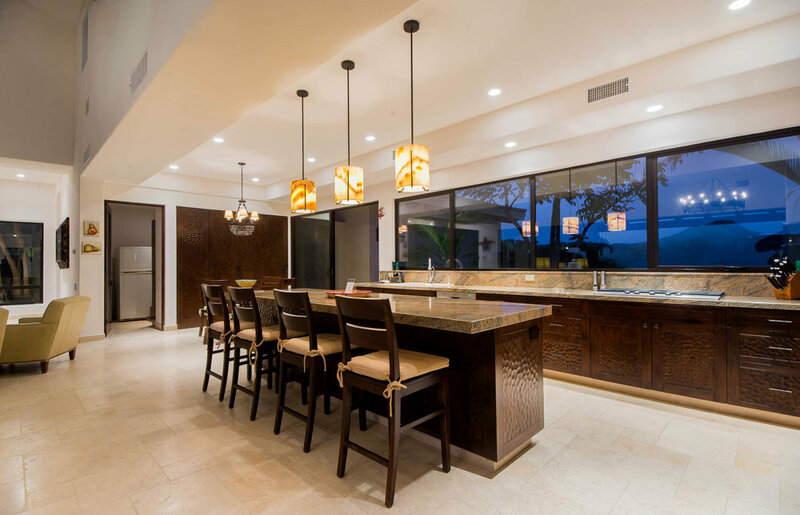 With easy access to two golf resorts, fishing and water sports, and the restaurants and shops of historic San Jose del Cabo, the house is a mere five minute walk to the beach. 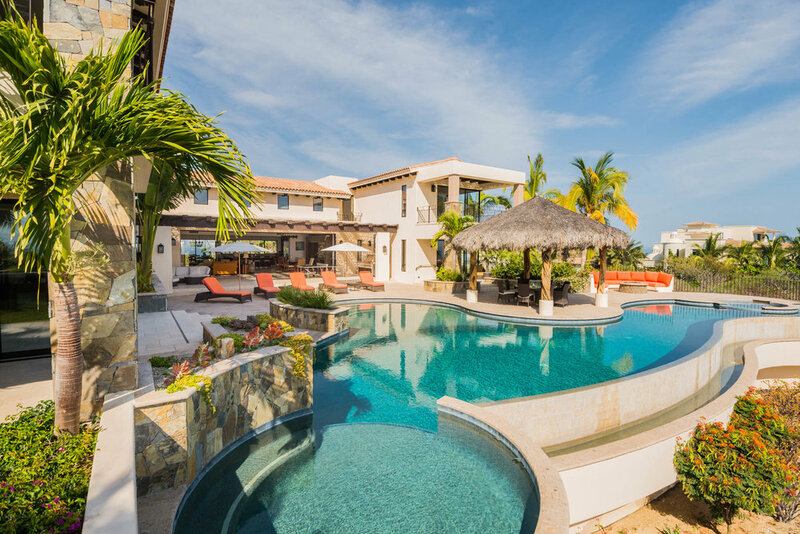 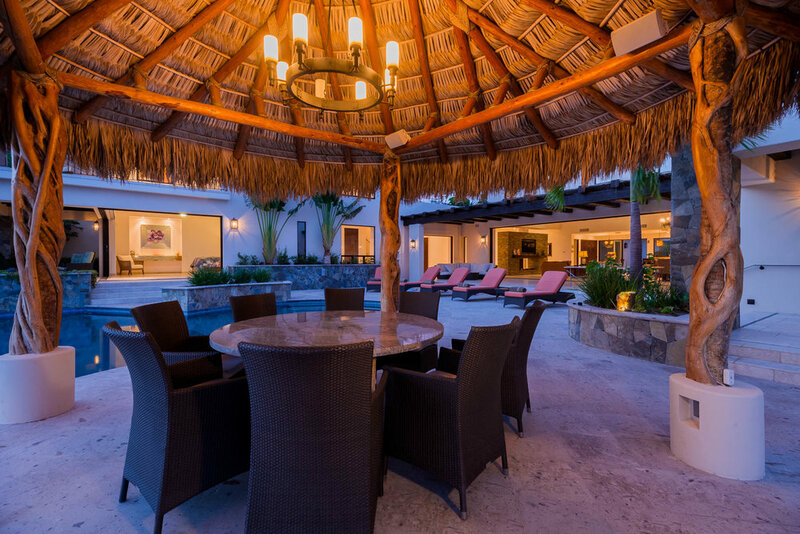 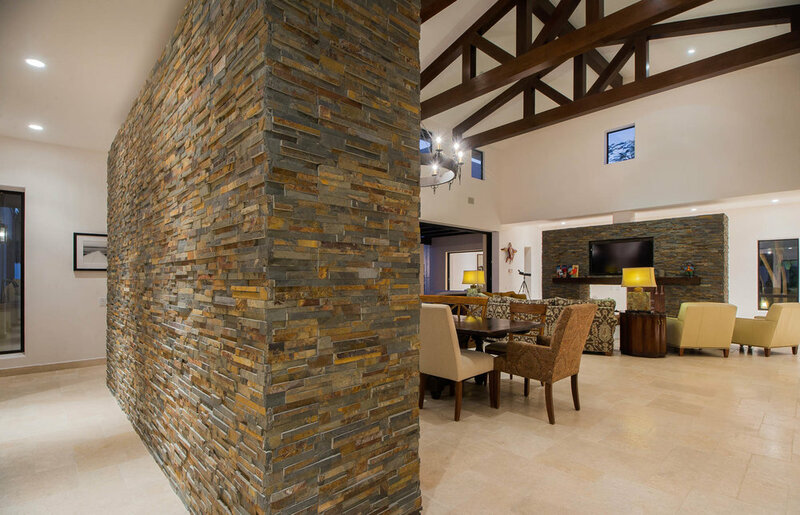 Casa de Sueños is your ideal getaway to relax in luxury with family and friends. 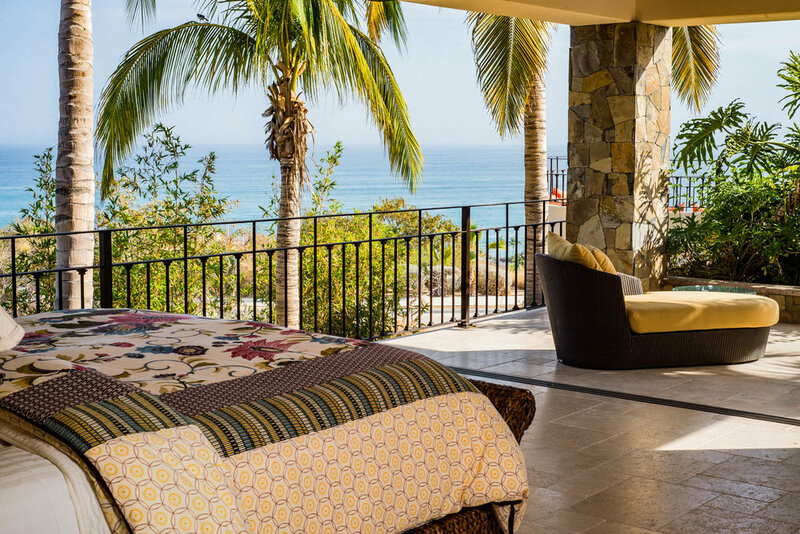 The brilliant design of the house offers four large and equally stunning master suites—all with magnificent sea views. 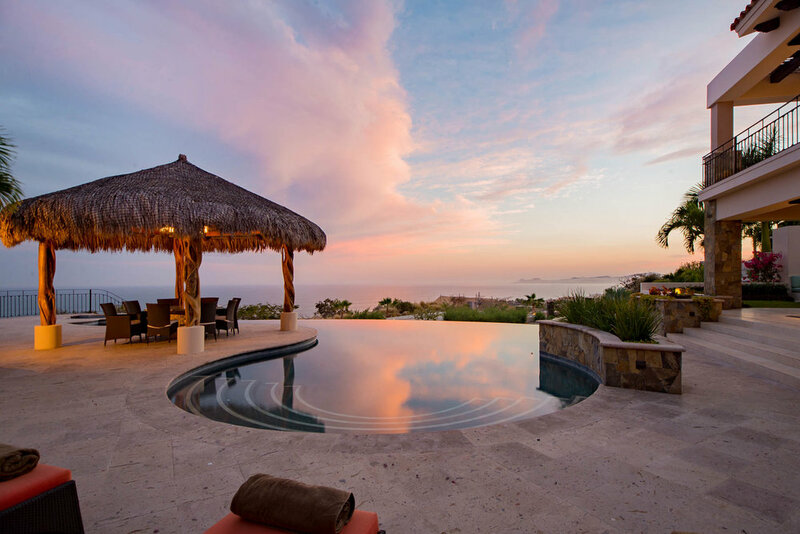 The infinity pool with its breathtaking view of the Sea of Cortez has two wading areas, a hot tub and a full-length lap pool. 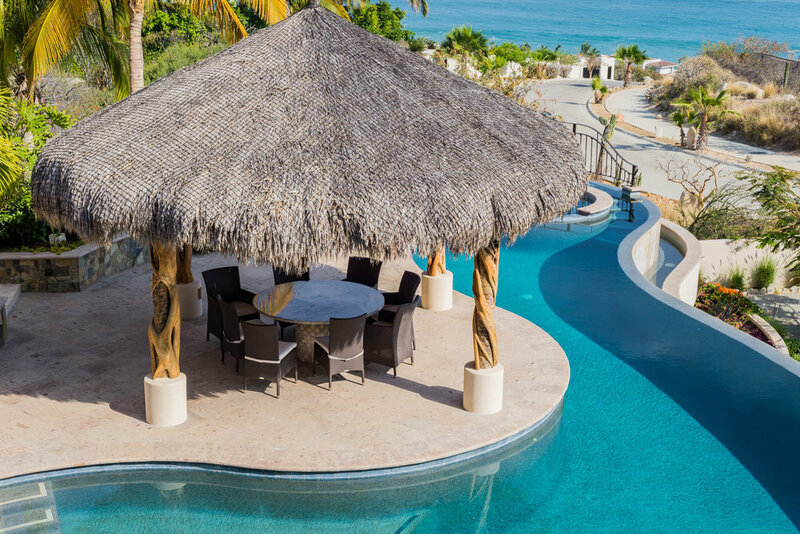 Sit under the beautiful palapa for margaritas and watch the whales as they migrate with their young. 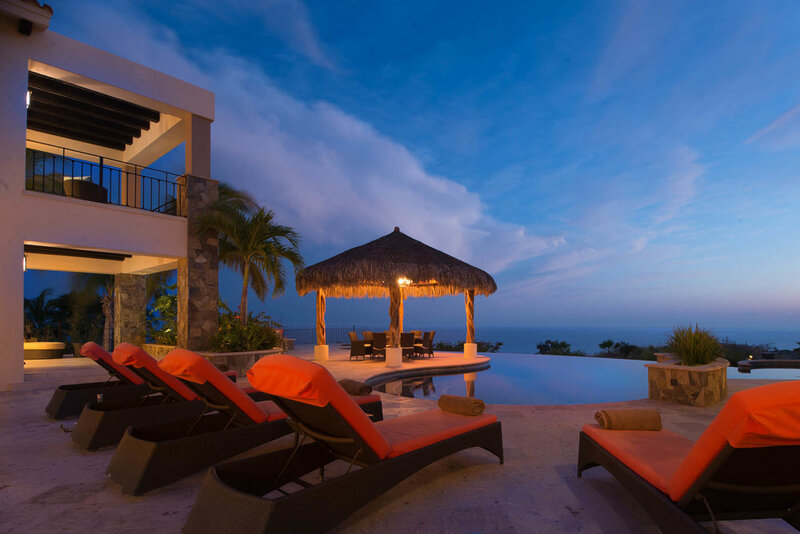 In addition, the house has a fire pit, a barbecue, ping-pong, tether ball, and a glorious mountain view terrace for yoga or evening drinks. 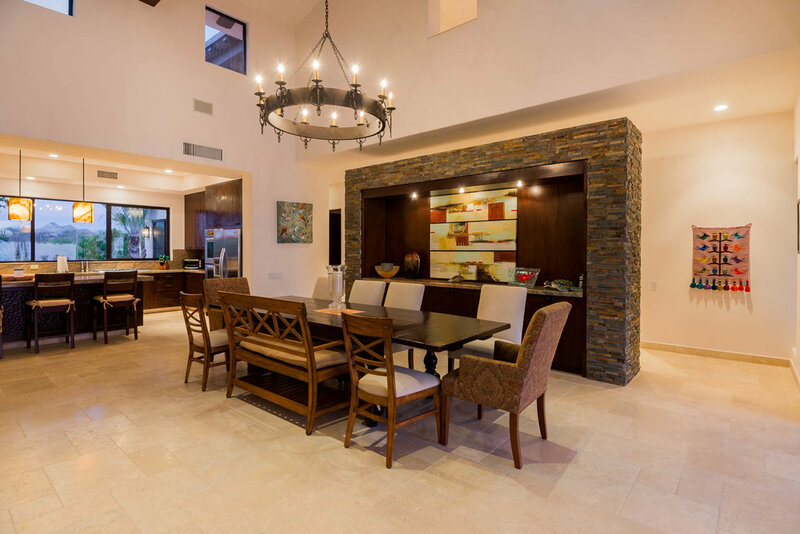 This house is made for entertaining. 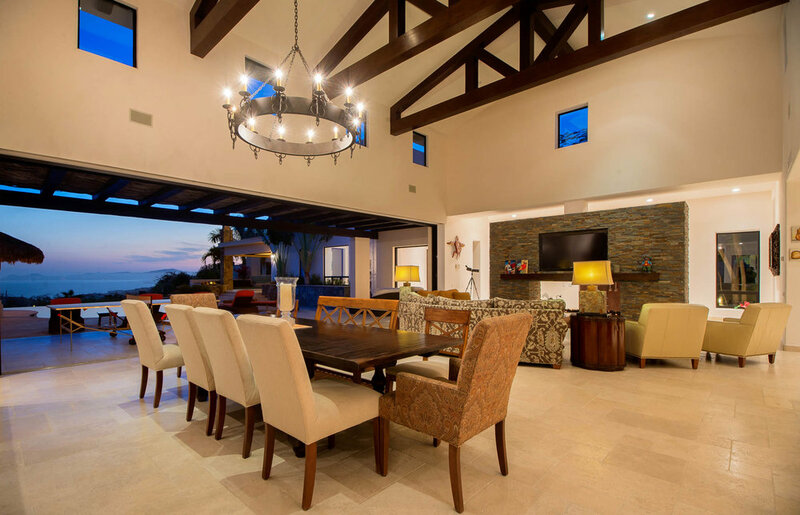 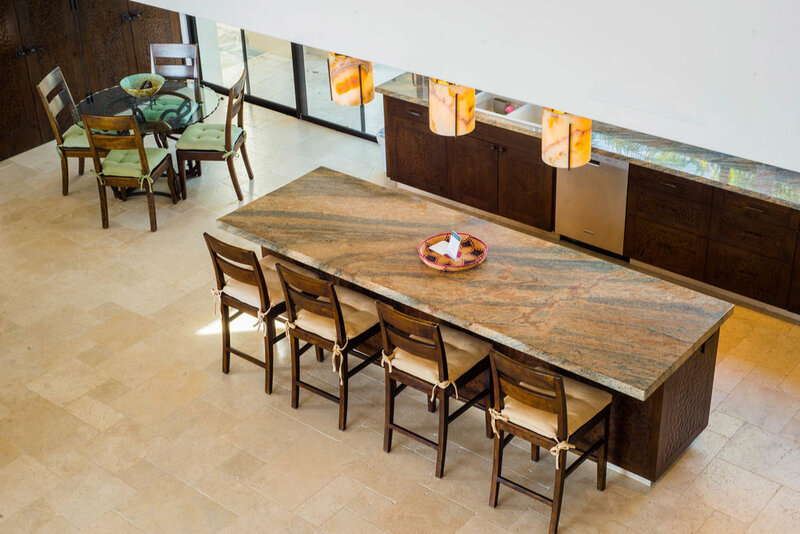 The central living area has a fully equipped kitchen and breakfast bar and dining area for 10. 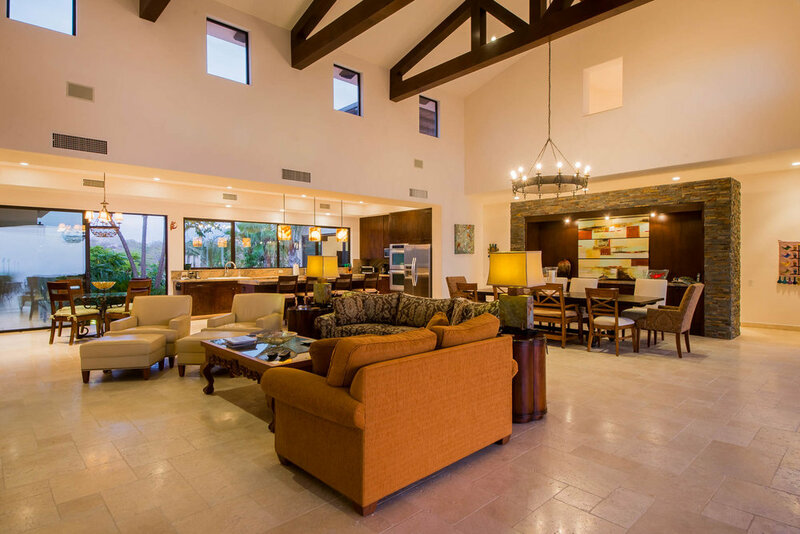 Gather in the grand room or snuggle in for a movie in the cozy media room. 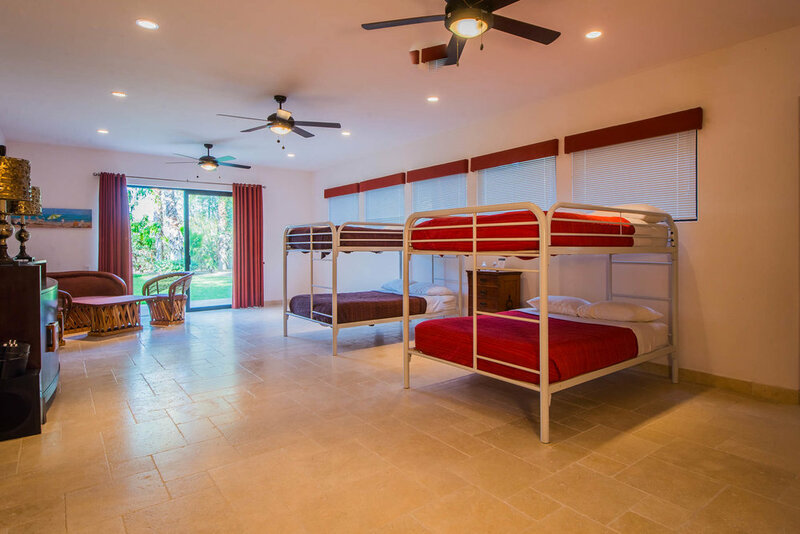 If you do need to get some work done, the house is equipped with Wi-Fi and the office has a computer and a multifunctional printer and fax machine. 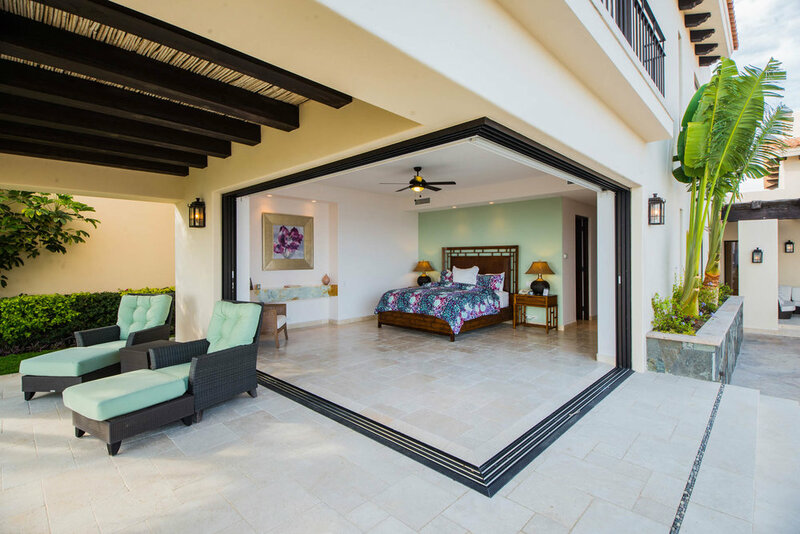 Each of the four master suites has a king sized bed, and ensuite with his and hers vanities, air conditioning and a ceiling fan. 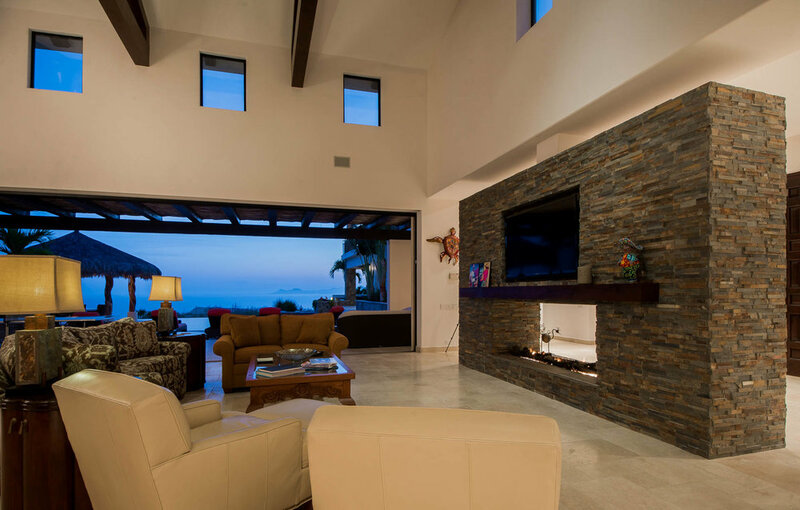 Open the full wall sliding glass windows and bring the outdoors inside. 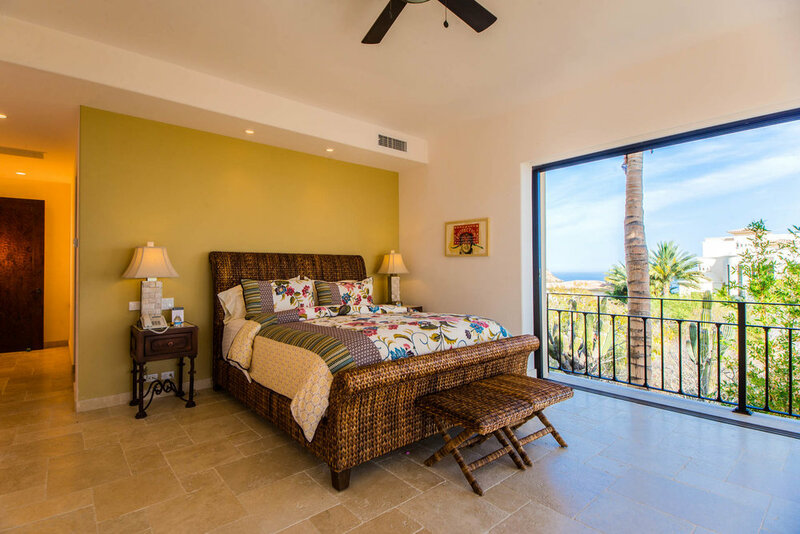 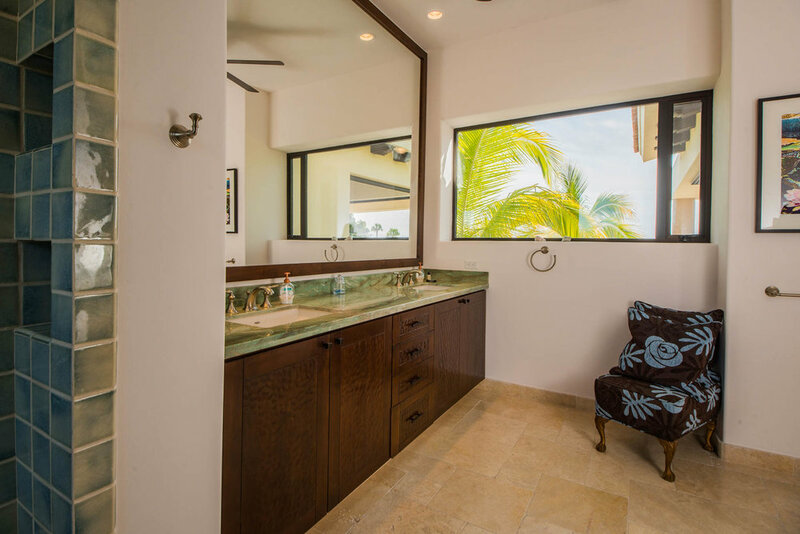 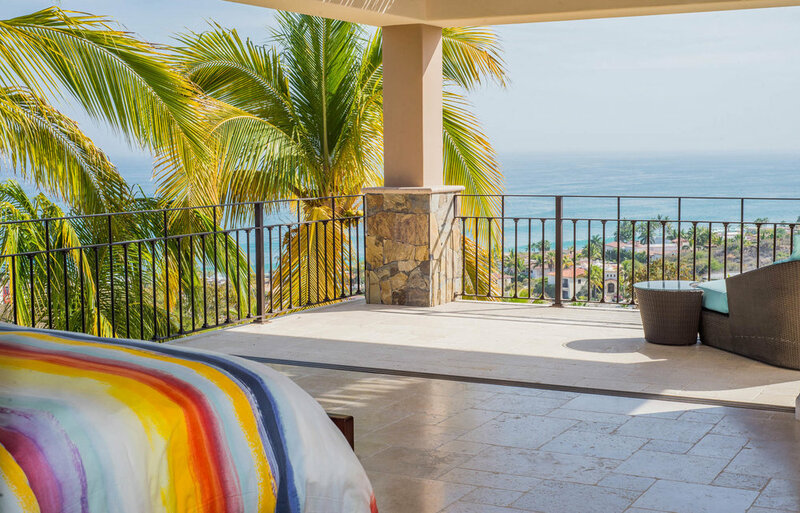 Each master suite has its own private patio with lounge chairs and an ocean views. 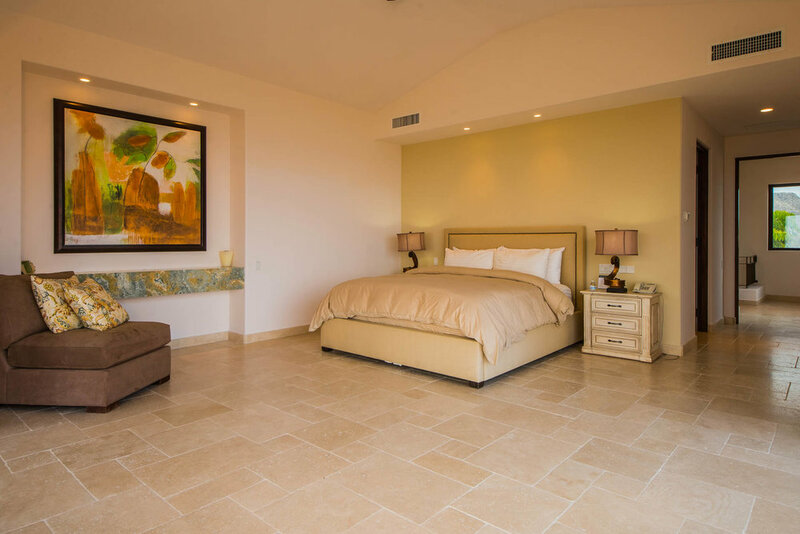 You will be truly pampered by our property manager who can assist you with your every need, which includes daily housekeeping and concierge services. 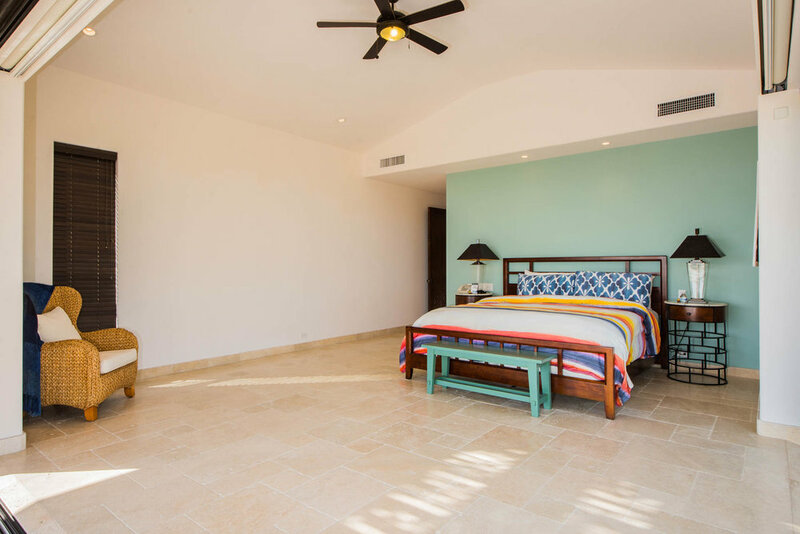 "We welcome you to experience the world-class beauty, serenity and service of Casa de Sueños, the vacation home of your dreams."